hehe, love those photos - the cape is stellar! Oh, she looks so sweet - like a little doll! I have to share the story of my daughters senior prom. I have always made every special occasion dress for her since birth. For senior prom she picked out a pattern and fabric. The month before the prom, and right after I finished the muslin, she announced that she wanted to (gulp) buy her dress. She said she felt like she has missed out on the experience of shopping for a dress like her friends had. That was a knife to my heart. haha she is adorable! 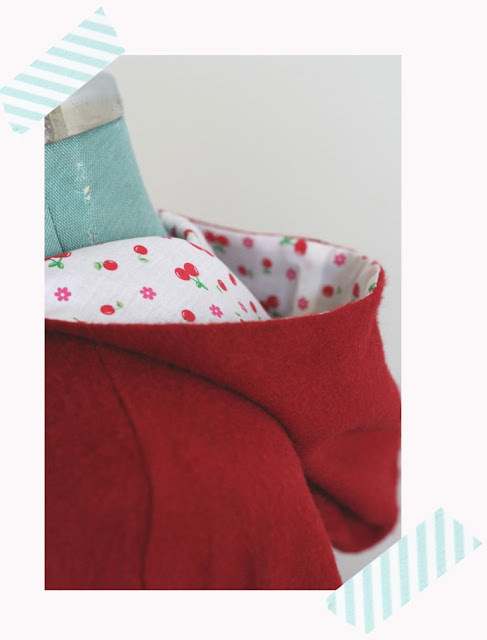 That cape is precious! She is just priceless!!! Tell her we all think she looks wonderful! She's so cute! I love the cape and it's totally fun with the dress too. You'll forgive her everything because she's so cute! Princess Red Riding hood is a terrific costume. The cape will have great longevity as a dress up. It is very pretty with the printed voile hood lining. And the arguments with a headstrong young lady will be the reoccurring theme of your life! I'm glad that a compromise was reached because she does look really good in the cape! Super riding girl! I can see that you will have to lower your presser foot soon. That is so adorable. She looks so much like you in the photo with her arms down! Lovely costume, adorable girl, and very enjoyable story. Thanks for sharing! You may have started a new trend! 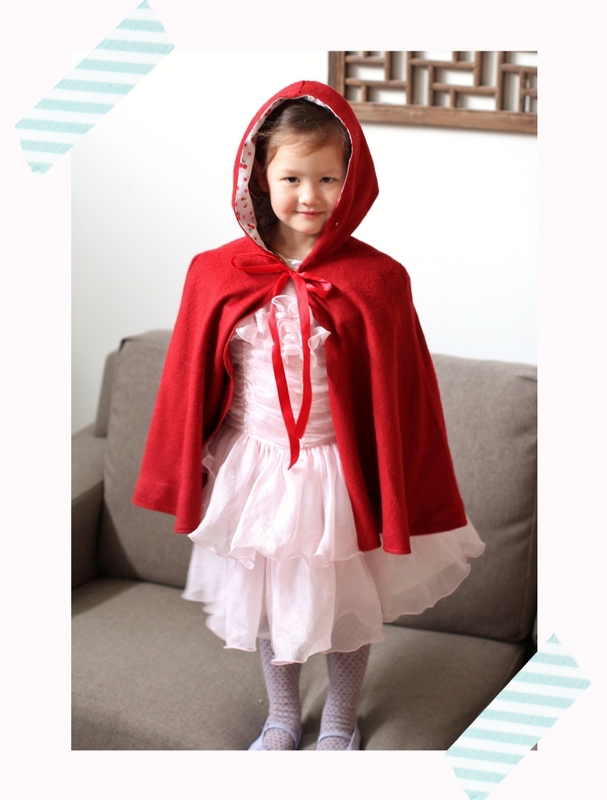 Now all girls will want to go a princess red riding hood! Quite impressive to have such a strong will at 3. She will take on the world by a storm I am sure! Oh.... 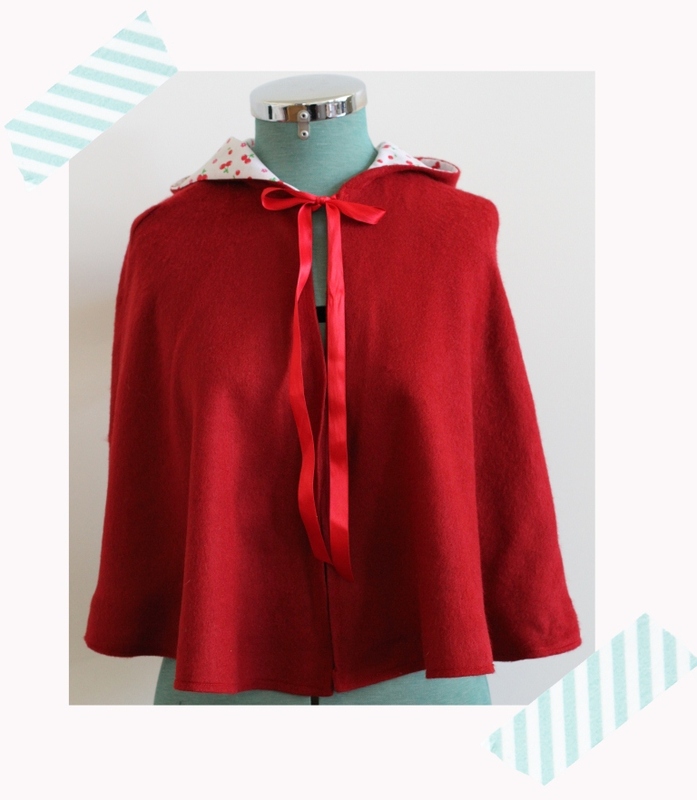 I remember when my mom made me a "Little Red Riding Hood" cape and dress. Her dress goes perfect... I mean LRRH had to wear a dress anyway right? Why not be a Princess LRRH? Maybe she can wear it for Halloween? I forget... do you guys Trick or Treat? Way Cute! I LOVE Mutt Dog. Seriously, that's a great book, but I can see your point about the lack of costume opportunities. 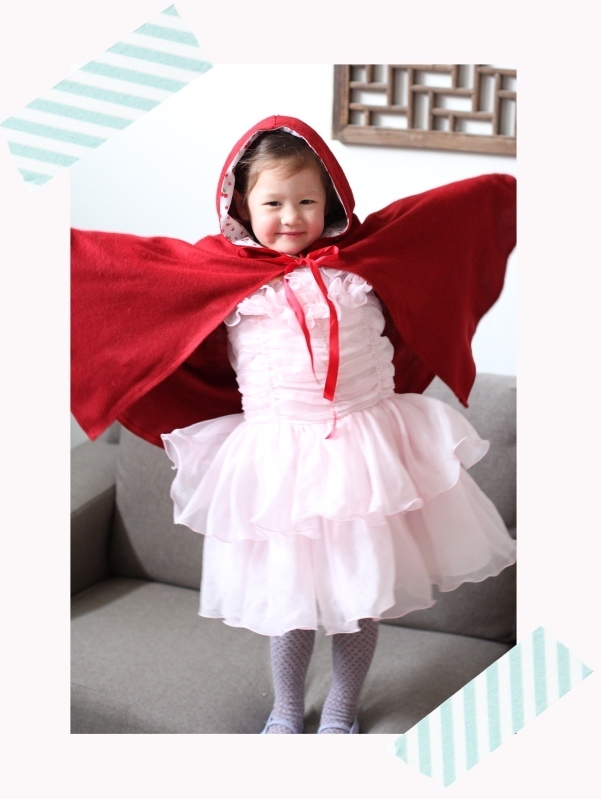 My DD went as Little Red Riding Hood to the Fairytale Ball her school has each year. I was soooooooooo glad I'd made her costume as the ones that had been ordered off the internet made those little girls look like hookers! It was seriously scary. Who even makes costumes like that for an 8-year-old?